Don Landry, CHA, is the owner of Top Ten, an independent hospitality industry advisory company that provides networking, marketing, development and expert witness services to industry owners, operators, developers and suppliers . He currently serves as lead independent director and chairman of the acquisition committee of Hersha Hospitality Trust (NYSE:HT), a real estate investment trust, as an independent director, investment committee and nominating committee chair of Condor Hospitality(NAD:CDOR), and on the advisory boards of Unifocus, Campo Architects, Windsor Capital Group and First Hospitality Group. 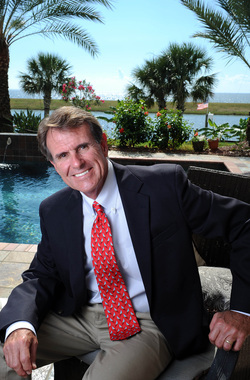 Landry served as an expert hospitality industry witness on the BP oil spill litigation from 2011 -2013. Don Landry was selected the lead independent director of the year by the New York Stock exchange governance services for 2014. A 45+ year veteran of the lodging industry, Landry served as president of some of the largest hotel management, real estate and franchise companies in the world. He is the former vice chairman of the board and CEO of Sunburst Hospitality Corporation (NYSE:SNB), a hotel real estate and management company with ownership in 75 hotels with over 10,000 rooms in 25 states. He was president of Choice Hotels International (NYSE: CHH), a company with over 4000 franchised hotels in 30 countries. During his tenure at Choice, he launched MainStay Suites and Choice Picks food courts. Prior to Choice, Landry served as president of Manor Care’s hotel division and assisted living division. Landry also served as EVP and COO of Richfield Hotel Management, Inc. where he was responsible for the management of 171 hotels and president of MHM, Inc. a hotel management company acquired by Richfield. Landry began his career at Sonesta Hotels in New Orleans while studying at the University of New Orleans. He holds a Bachelor of Science from UNO where he was 1999 Alumnus of the year. He currently serves on the boards of the UNO School of Hotels, Restaurants and Tourism. Landry is a former board member of Friendly Hotels in the UK and Choice Hotels Canada He has also served as an advisor to Revenue Performance, Voila Hotel Rewards, Hotel Tools, Revpac, Arescom and Armstrong Hospitality. He served as chairman of AHLA's Educational Institute, Chair of Johnson and Wales University advisory council, chairman of the Society of Hotel Management Companies, President of the Dallas Hotel Association and board member of the Texas Hotel Association.